William "Bill" Louis Phelps, resident of Little Rock, Arkansas, formerly of Manchester, Iowa passed away after a courageous 1 ½ year battle with cancer. William was born and raised in the Midwest. He was a successful entrepreneur which was served him well as he was expelled for putting a snake in the teacher's desk before he could graduate from high school. Too stubborn and obstinate to work for others, he spent a lifetime working with his wife, Ruth Anne who was often referred to as a "saint" for putting up with him. He was the father of three children and grandfather to six grandchildren. Bill felt that since none of his children ended up in prison that his job as a father had been completed satisfactorily. 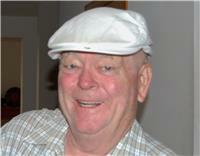 He was adored by his grandchildren who have him to thank for knowing how to golf, fish and eat ice cream. Bill loved to play cards, watch CNN incessantly and gamble his children's inheritance away at the casino. He was stubborn and obstinate, and did not suffer fools gladly. He forced his children to have critical thinking skills by deliberately arguing with them to the point of frustration and tears, then producing a wide grin to show that he had won the debate. He was a hard-worker and often woke his family in the wee hours to share that he could get more done while they were sleeping than others could do all day. Bill was also generous to a fault while expecting nothing in return. He was preceded in death by his parents, Paul and Lillie Phelps; 2 brothers Sheridan and Paul; and his sister, Cynthia. He is survived by his wife, Ruth Anne of Little Rock; 2 brothers, Chuck of Vinton, and Dan of West End, NC; his three children, Rochelle of Fairfield, IA, Sheridan of Kansas City, MO and LeAnn of Little Rock AR. The family would like to express our gratitude to the nurses, doctors and caregivers who provided such compassionate care, we are forever grateful. We are holding a service for Bill on July 8th from 4 to 8 p.m. at Buliceks Landing in Delhi, IA. It will be a nontraditional just like he was, along the lines of an Irish Wake. He would have enjoyed having one last drink with him, so don't disappoint him.